Epcot Center and Disney Parade - Mickey and Sig! Epcot Center and Disney Parade – Mickey and Sig! The Norway pavilion at Epcot will host Sig Hansen – one of the featured stars on the popular reality series on The Discovery Channel, The Deadliest Catch – for an in-park appearance July 10 to 13. Hansen will appear inside The Puffin’s Roost, the pavilion’s merchandise location, each day. He will be joined by his brothers, Edgar and Norman Hansen, who also appear on the show. 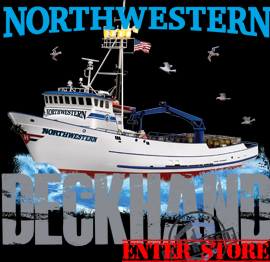 A fourth-generation Norwegian fisherman, Sig Hansen is the captain of the Northwestern, one of the crab-catching vessels on The Deadliest Catch. He, Edgar and Norman own and operate the Northwestern. Based in Seattle, Wash., the Hansens have fished together for nearly 20 years. The Hansens’ crab-catching skills on the television show also have inspired Deadliest Catch: Alaskan Storm, a video game for the Xbox 360. In addition to signing autographs and posing for photos, the Hansens will have Northwestern merchandise for sale during their Epcot appearance.